To date, Airwheel has rolled out a dozen of models, which falls into three series, X-series, Q-series and S-series. The latest intelligent self-balancing scooter, S3 integrates almost all merits of other series with its own characteristics. So S3 is hailed as the climax of Airwheel’s design and technology. In spite of that, S3 does not overshadow Airwheel’s classic model, X3. As the eternal classic model, X3 serves as an significant symbol of Airwheel’s core design and technology. It is two years since Airwheel was established in the year of 2013. From its establishment on, it has been persistently sticking to its principles: eco-friendly feature, perfect design and consistent innovation. These ever-lasting principles guided Airwheel in its every phase of development. 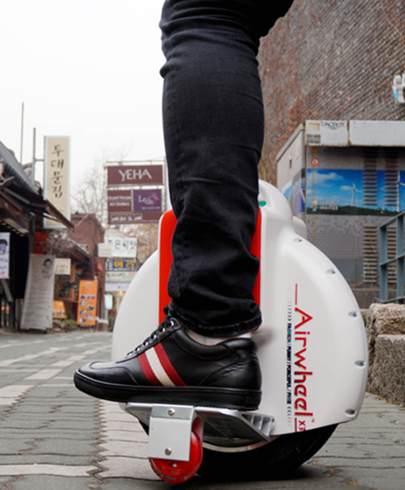 In 2013, the electric unicycle X3 came out as the first model launched by Airwheel. Airwheel based X3 on the principles of eco-friendly feature, perfect design and consistent innovation. Although X3 was the endeavour to put these principles into practice. Finally, this bold endeavour turned to be rather successful. Up to now, Airwheel still take pride in this endeavour. The launch of X3 marked that Airwheel essentially commenced to be on the path to eco-friendly feature, perfect design and consistent innovation. Compared to other models of Airwheel, for instance Q-series and Q-series, it take little more time to learn to ride X3. However, the agility of X3 takes some beating. X3 can turn and swing quickly and agilely. Thus, X3 is surely an optimal choice of those challenge-lovers skilled in riding. When you are tired of other models, return to X3. You will find its own characteristics and wake up to the reason why it is hailed as the eternal classic one. X3 was the first model to realise eco-friendly feature. Airwheel embedded the green lithium battery core in X3, making sure it produced no emission in operation. The current theme of low carbon came up with the new requirements on products and personal transporters. This is not only a challenge but also an opportunity. This theme drove Airwheel to press with the R & D of green models. 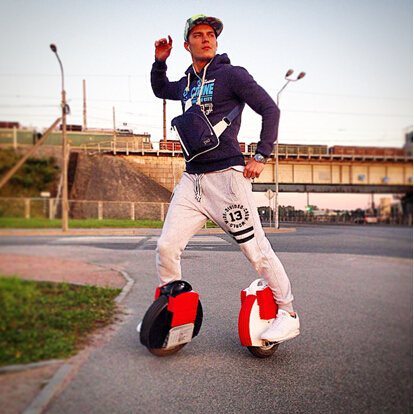 The release of X3 set Airwheel apart from others in the sector of scooter and made Airwheel ahead of time alike. Previous：How to choose an optimal intelligent electric scooter?